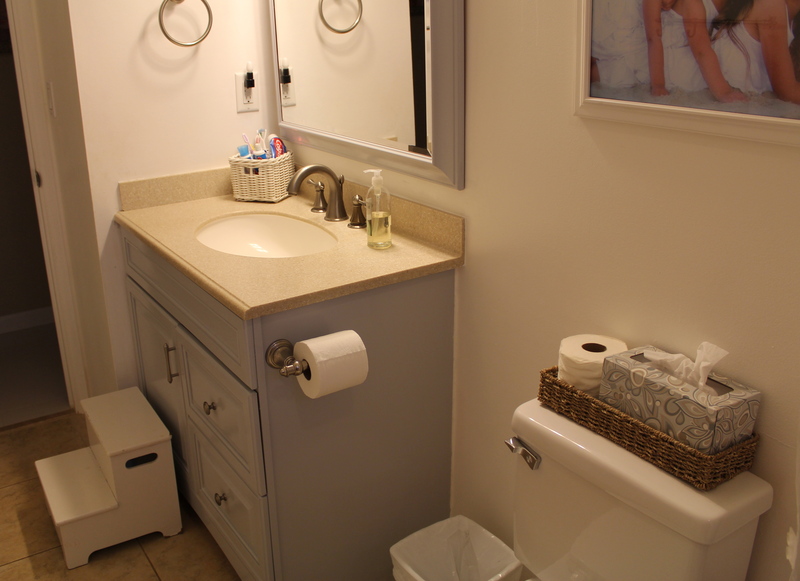 Main Bathroom – Before and After! 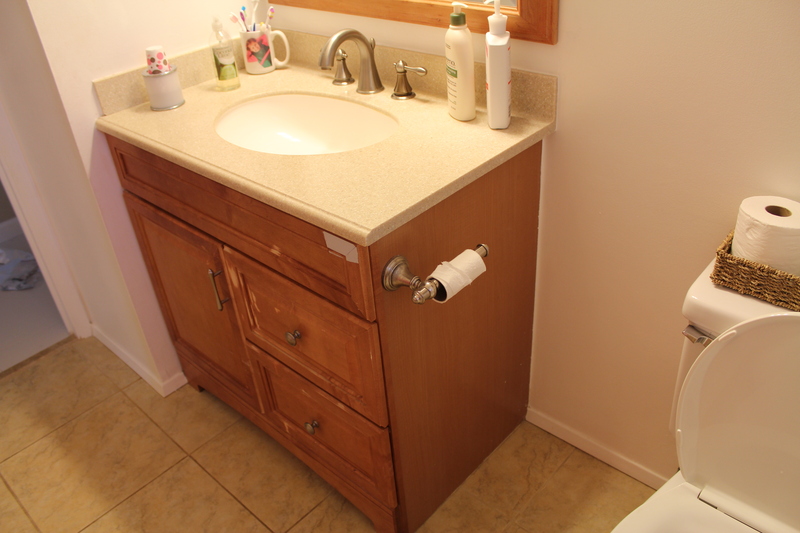 I have wanted to do something about my main bathroom for a while. 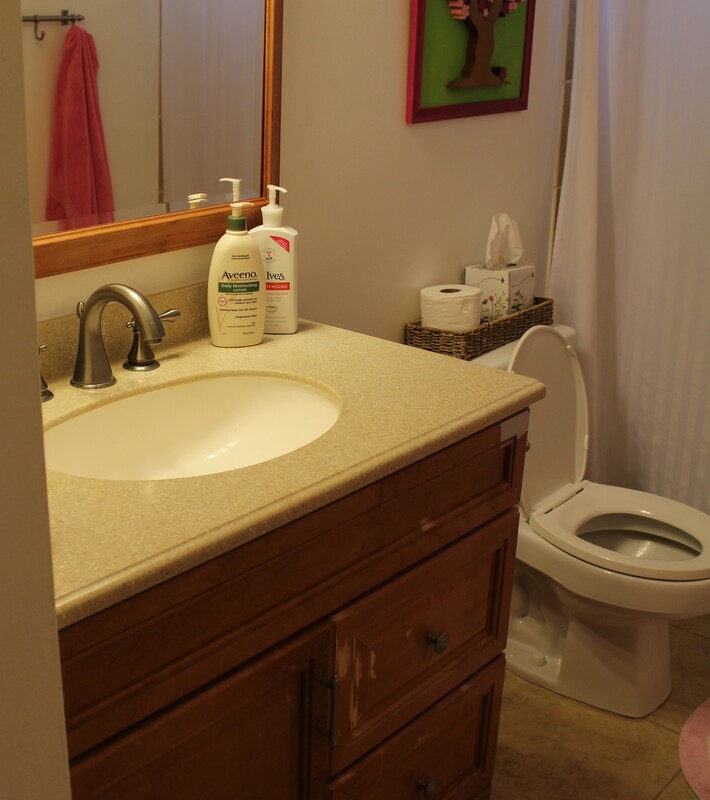 When we first bought the house, it was painted peach, with a burgundy shower curtain. The front of the vanity had hot pink paint spilled all down the front. I wish I had a picture but I don’t. Then we painted out all the walls white and got a white shower curtain. I sanded off the hot pink paint. But I was STILL not satisfied. SO….. now it looks like this! The gray in the vanity matches the gray accent tile in the shower and some of the gray lines running through the floor tile. Hope this inspires you to do a little painting too! If you like this post and want to see more, please sign up to receive my blog emails or like “Organized Ohana” on Facebook or Twitter! 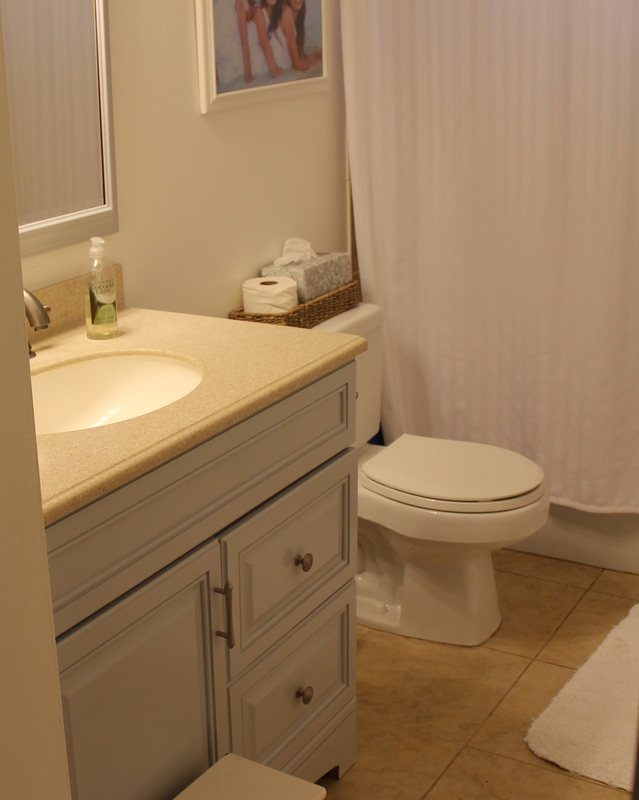 This entry was posted in Bath, Before and Afters, Color, Decorating and tagged bathroom, before and after, color, gray, Main bath, paint, vanity by organizedohana. Bookmark the permalink. Beautiful! The gray makes the whole room crisp, calm, and clean. Is there a certain type of paint you have to use for cabinets? I’m going to send this to my mom who is hesitant about painting her kitchen cabinets for a cheaper face lift. I want her to see how stunning it can look. It looks great! What a difference a little paint makes! I’m a great fan of painting things to update / upgrade them. It’s fun (it brings out the kid in me), it’s satisfying (I love that I’ve changed something for the better), and the whole room (bath, kitchen, other room when I do furniture) has a new, fresh look. Well done, Jennifer! What a difference a little paint makes!!! You have great vision!